As soon as I began reading Illusions of Fate I knew I was going to love it. Jessamin drew me in to her world and I couldn’t reading stop until I knew what was going to happen to her and Finn! Jessamin was from the island, Melei, which was colonized by Albion where she attends school. Jessamin, the illegitimate daughter of a professor at the school she is attending, works and lives in a hotel unbeknownst to her class obsessed mother. The letters between Jessamin and her mother were a fun and funny aspect of the story. Ya know what? I just loved Jessamin in general! She was funny, spunky, and really independent. She didn’t care what the upper-crust people around her thought, she was her own person and was proud of her Melei heritage. As much as I loved Jessamin I liked Finn equally as much. He was from a completely different world than Jessamin, born to a life of titles, power, and magic. I enjoyed watching the relationship between Finn and Jessamin develop and the entire idea of shadowing someone. It added an interesting (and romantic) layer to their story. I also appreciated that while this book had magic and fantastical elements White also included the real-world aftermath of colonization in the story. It showed what being a colonized nation really entailed and how it affected life on Melei. 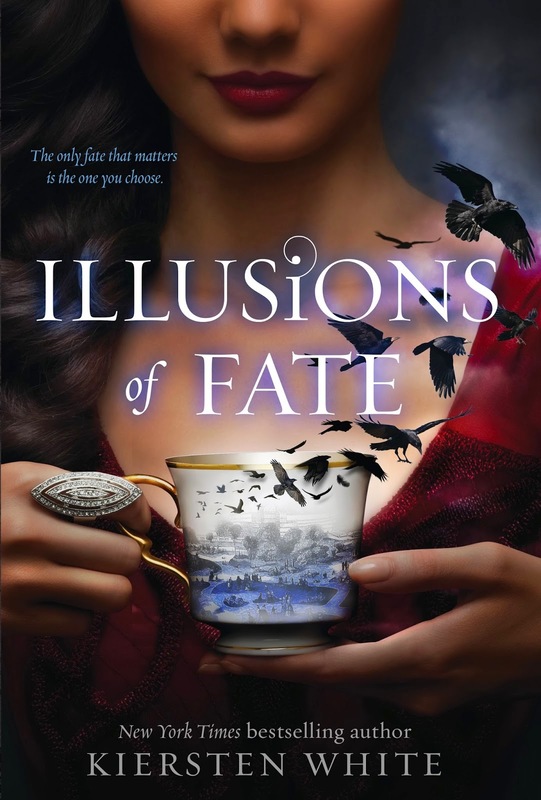 Overall, I thoroughly enjoyed Illusions of Fate it is one of my favorite reads so far this year. My only complaint is that there wasn’t more to the story. It was a little on the short side and I was sad when I learned it wasn’t part of a series. I could have curled up and lived inside the wonderful world that White created. Glad you loved this one so much. I wished the book had been a little longer, but I also enjoyed it!